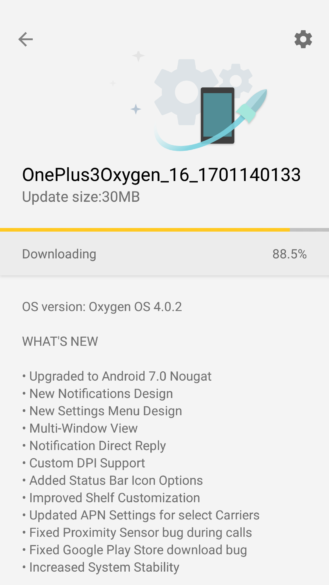 You may remember that right at the end of December, OnePlus started rolling out OxygenOS 4.0, essentially Android 7.0 Nougat, for the OnePlus 3 and 3T. And you'd be completely correct. However, this was halted after 4.0 was found to be buggy and unstable for the OnePlus 3T. Now, 4.0.2 is rolling out, fixing the bugs and stabilizing the update. A tipster sent us an email saying that he got an update to 4.0.2 on his OnePlus 3, and attached a screenshot. While we were at first skeptical - seeing as Nougat had seemingly arrived almost three weeks ago - we dismissed this, but very quickly realised the mistake; that the original build was buggy on the 3T (although not on original OnePlus 3, seemingly), as well as 4.0.1, and 4.0.2 was an update to fix that. Sorry, Marc. If you have a OnePlus 3T and have either been waiting for Nougat, or found the original 4.0 and 4.0.1 to be buggy, crashing, unstable, etc, check for updates now. 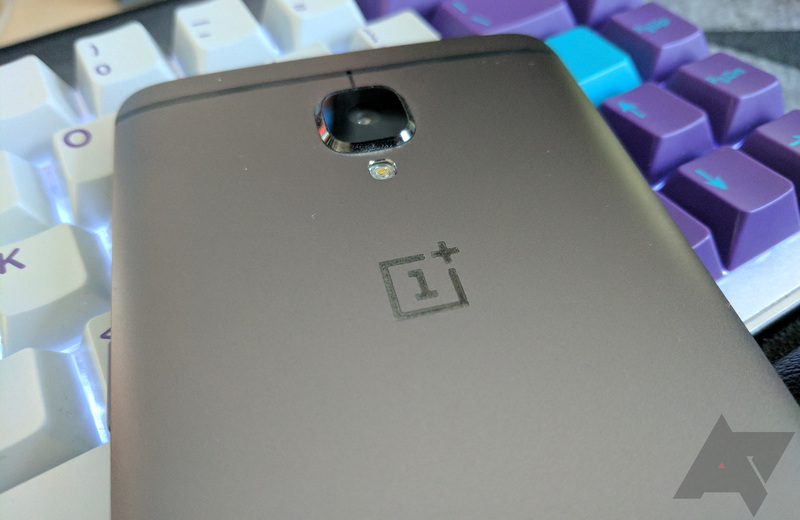 The official OnePlus forum has a post with the details (see source link), including a note saying the WiFi connection may still fluctuate, and to let OnePlus know if this happens. The update is also rolling out to the original OnePlus 3, but it's not completely clear if this was affected in the same way as the 3T was. The post says the update will hit a small percentage of users initially, with a broader roll out in the next few days. The full OxygenOS 4.0.2 ROMs for both the original OnePlus 3 and the 3T are now available on OnePlus's site. To install, reboot into OxygenOS recovery and use the 'adb sideload' command. Make sure you read the instructions on the site before flashing, and if you are unsure what you're doing at any point, back out.